On Saturday afternoon the wind changed and started blowing from the North. 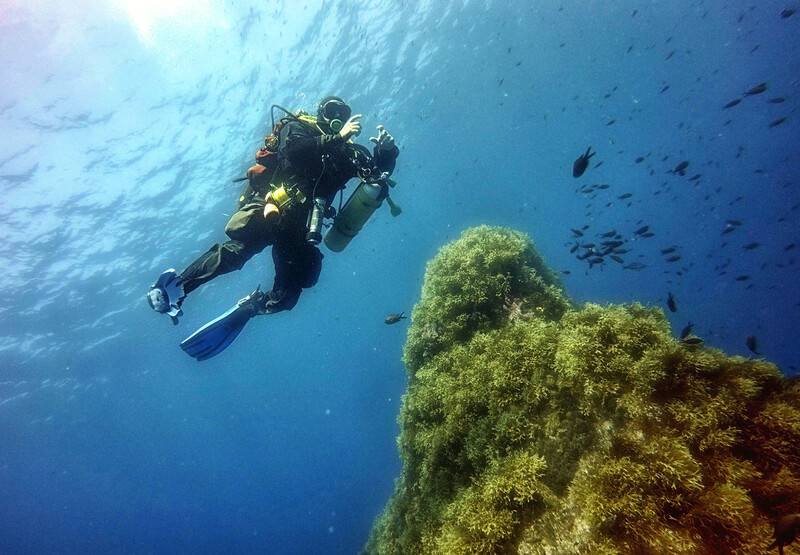 We therefore decided to dive the South coast, opting for a deep 60-metre dive at Ras il-Hobz which would serve the purpose of being a simulation dive for an upcoming dive at Bottleneck cave, whose exit lies at a similar depth. We planned a bottom time of 25 minutes, as per the below. 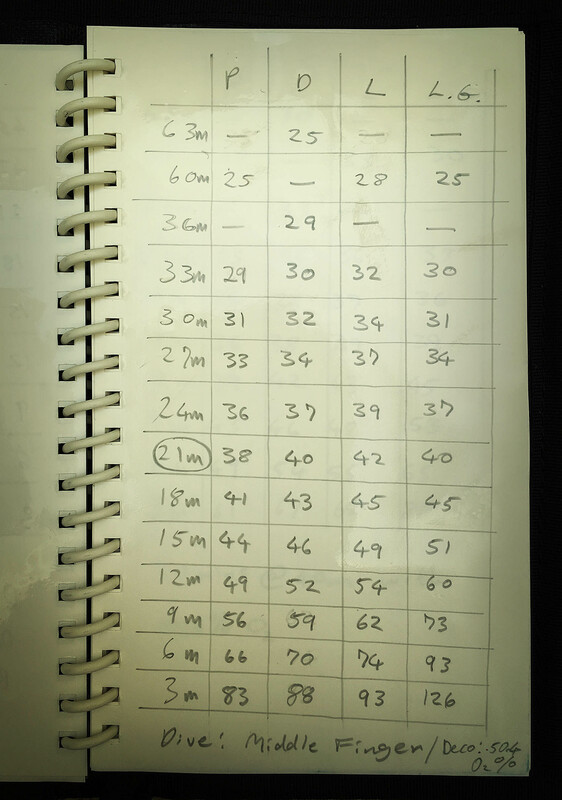 For non-divers, first column is depth, second column denotes the plan, third column describes the schedule in case the dive is 3m deeper, fourth column gives the plan in case the dive is 3 minutes longer, and the last column is a contingency plan in the case of lost decompression gas (which means that the diver would have to complete their decompression using the bottom gas instead). The scenery at Ras il-Hobz is really beautiful at the moment, with Spring colours popping out everywhere. 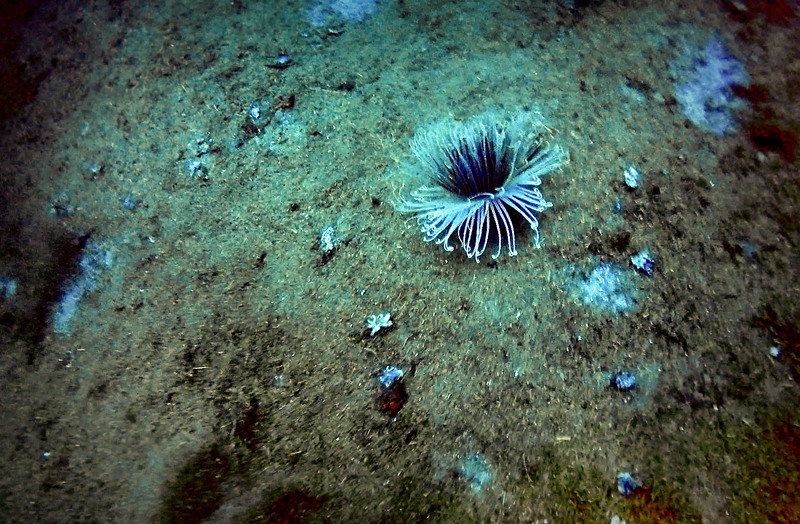 Upon hitting the water, we proceeded without delay to our chosen depth, encountering a nice anemone along the way, of which I have pulled a (very poor) still frame from some video footage I collected. It should be remarked that the continuing problems with wastewater dumping at this site has completely ruined the deeper regions; one hopes that the authorities get their act together sooner rather than later and address the very sad state of affairs. Still frame of an anemone (pulled from video footage acquired at depth). When our bottom time was up, we proceeded with our ascent. 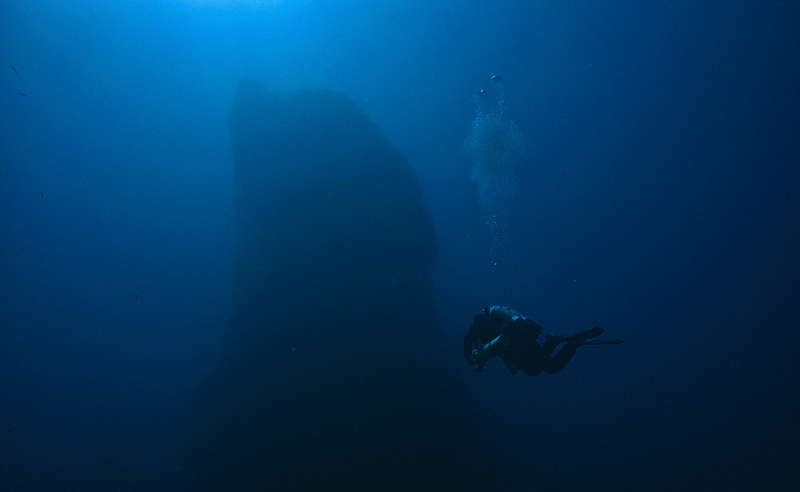 I readied the camera for a couple of pictures of the pillar that rises from the depths up to around 6m below the surface. The pillar rising from the depths. 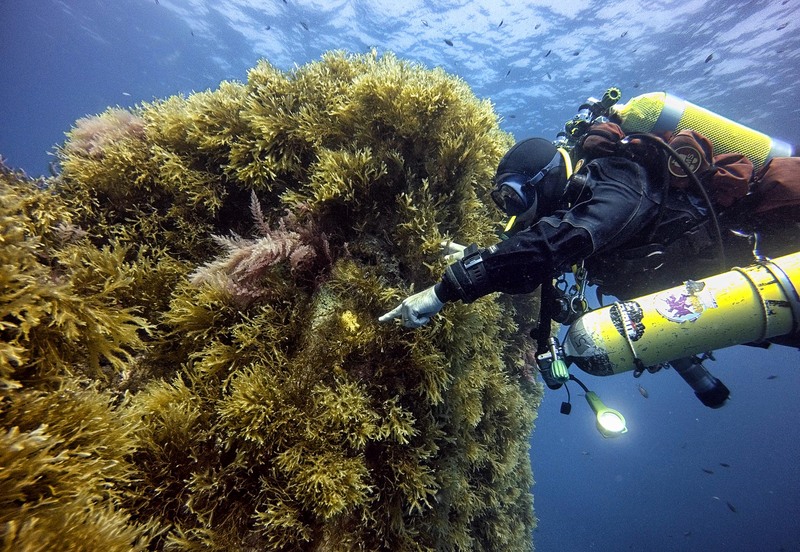 Upon reaching the 21-metre mark, we changed to our decompression gas (50% O2). 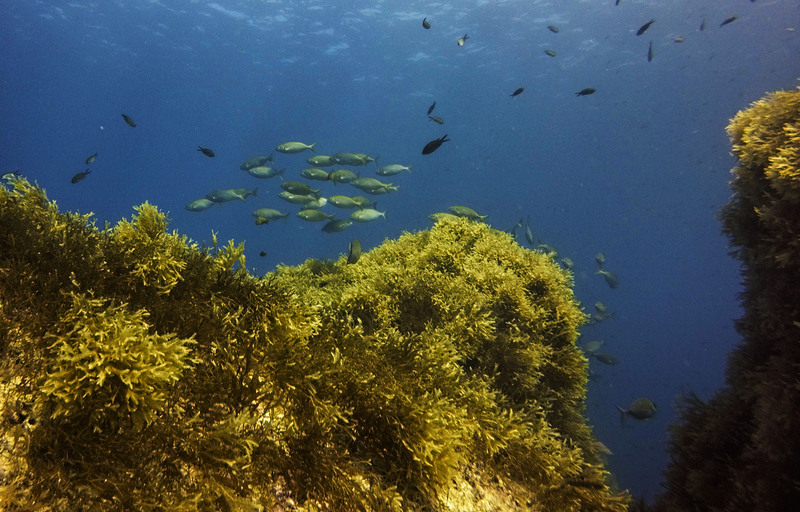 As we off-gassed, we were entertained by various fish species, such as this shoal of Salemas. Brian signs there’s a picture opportunity. He started pointing at a very strange-looking thing which looked like, well… spaghetti! Brian points at a peculiar feature. 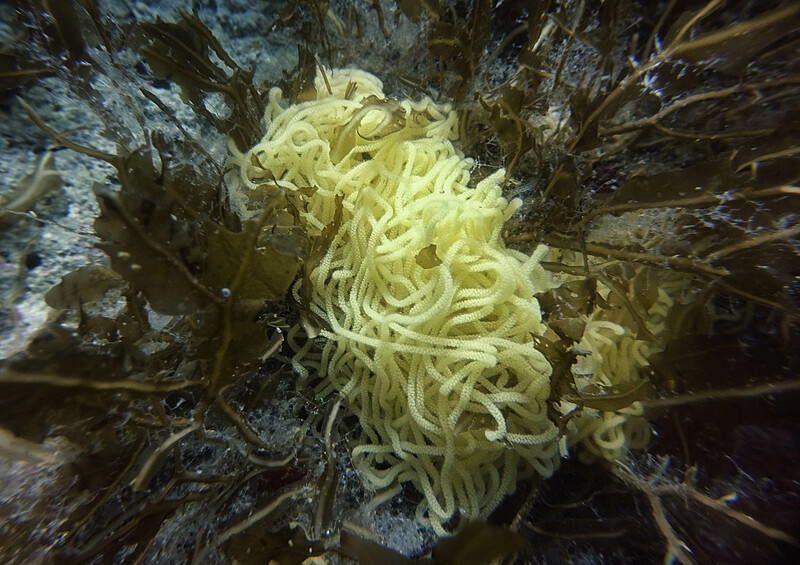 Upon moving closer to obtain a close-up shot, I realised it was actually made up of many tiny eggs… this most peculiar feature was none other than sea hare egg-strings. 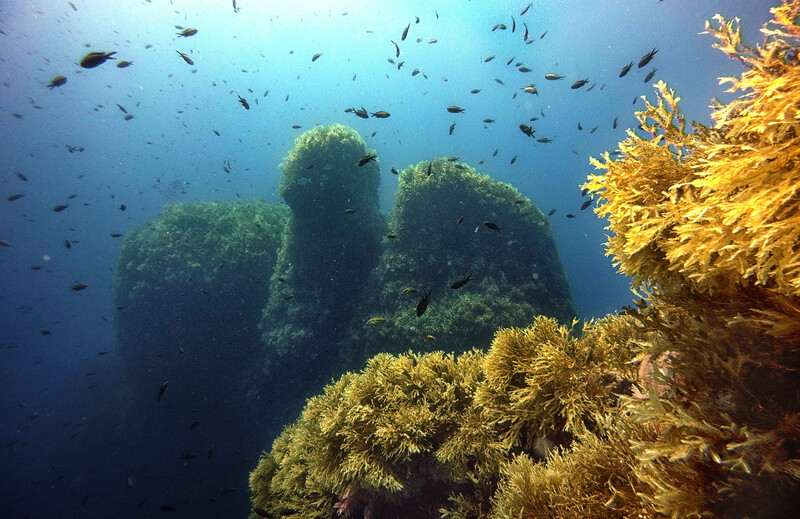 Upon proceeding to shallower depths, I snapped a picture of the feature that earns this site the name of “Middle Finger” amongst divers. Just look at the picture below and you’ll see for yourself what I mean. Ascending to the last decompression stop at 3m, we came across a large shoal of Barracudas, which made the remaining few minutes of deco whizz by. 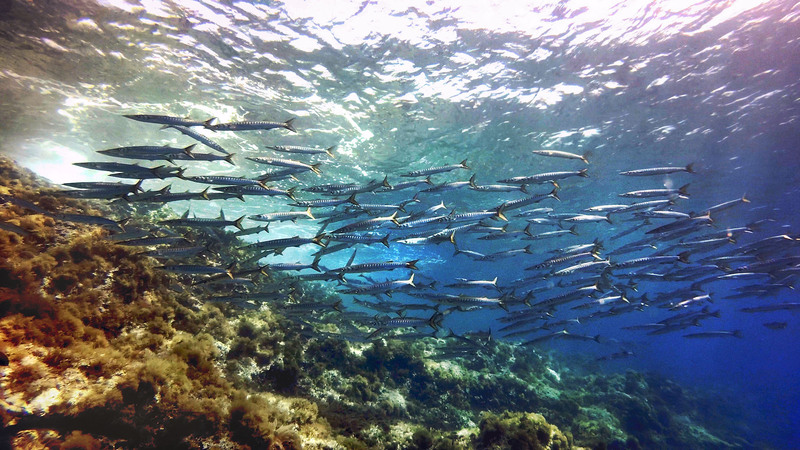 Shoal of Barracudas making our final decompression stop a pleasure. As we completed our deco I did a few buoyancy & trim checks, with Brian kindly shooting some video footage for later reference. During the last deco stop. 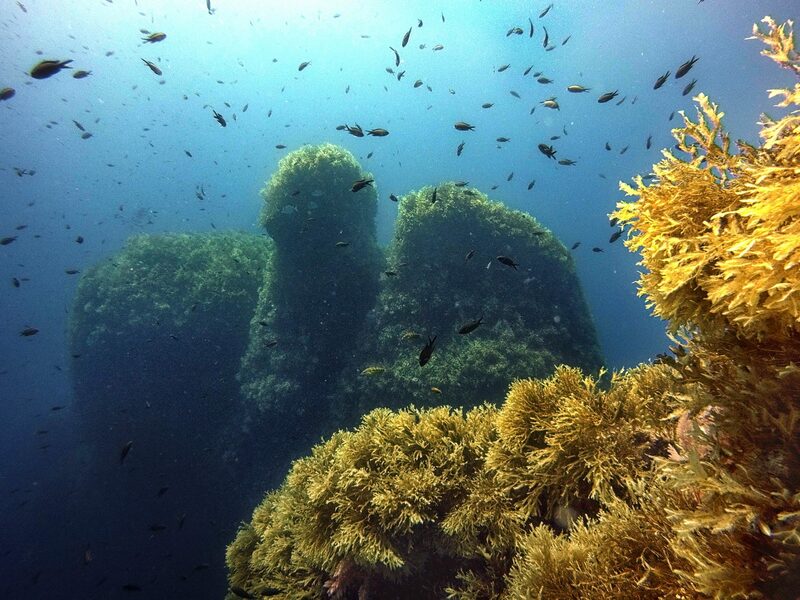 We had another dive planned for the following day, so watch this space for another post soon! In the meantime, here goes the actual profile for this dive as recorded by the Shearwater Petrel 2 dive computer. Stay tuned! 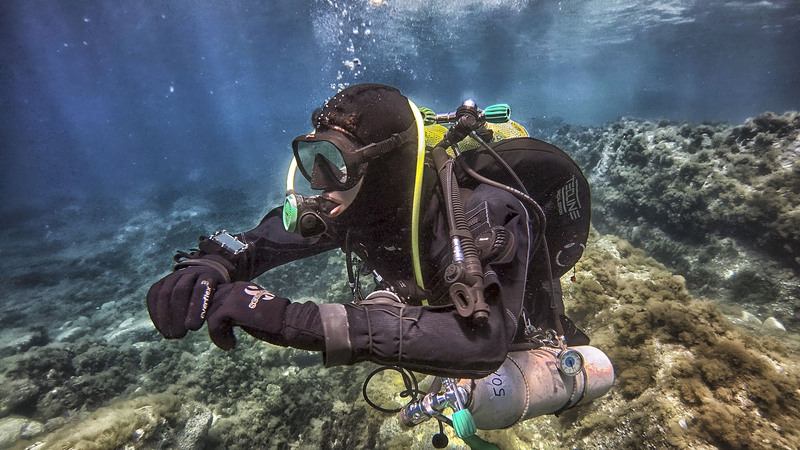 Good to read a well laid out article, but best of all is that diving safety is the first priority.